Metroid Fusion is one of the best handheld games ever, period. This is the second time I’ve played through Metroid Fusion recently. I replayed it on the 3DS Virtual Console and now on the Wii U Virtual Console which I will be focusing on for this review. I was a bit surprised when Nintendo announced Gameboy Advance games for the Wii U Virtual Console but it’s actually been great to play some handheld classics on my TV for a change. Before playing through Metroid Fusion on the Wii U, I had to go back and check out my Gameboy Player for the GameCube just to see how Nintendo originally handled portable games on a home console. Guess what I found in my Gameboy Player after all these years? Yep, Metroid Fusion! I thought it was very fitting that I should come across Metroid Fusion in my Gameboy Player while working on my review for Metroid Fusion on the Wii U. 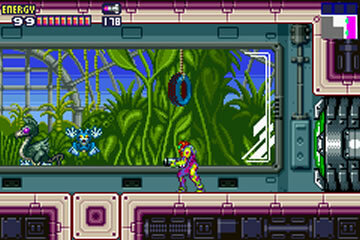 The gameplay in Metroid Fusion will feel very familiar to fans of the series. The game uses a 2D perspective like Super Metroid and features a similar map system. What’s unique about Metroid Fusion is the aspect of fusing with the X parasites to upgrade various parts of Samus’ suit. In past games, Samus would discover upgrades that would augment her suit in some way: new weapons, missiles, or jump abilities. In Metroid Fusion, Samus actually mergers with Core-X parasites from different bosses/mini-bosses that give her unique abilities. There are also X parasites that can refill health as well as missiles. Another difference in Metroid Fusion is the more linear nature. Navigation Rooms will direct players to where they need to go. Various doors are unlocked at different stages by the station’s computer AI so the game feels more step-by-step than previous iterations. The story also contributes to the linear nature with Samus encountering the SA-X at various times throughout the game in scripted areas. It doesn’t detract from my enjoyment of the game but for those that want to go anywhere they want from the get-go, it may hamper their enjoyment. 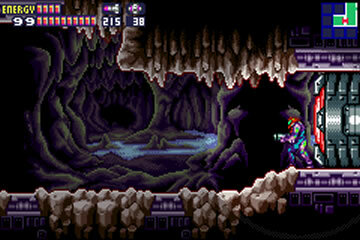 Metroid Fusion definitely has some advancements over Super Metroid in the visual department. The presentation is nearly identical, but the game has several unique effects that help it stand out especially with other handheld games at the time. Those who play Metroid Fusion on the Wii U Virtual Console can have save states separate from the game’s internal save system. This is incredibly handy especially when you get to boss battles. The Wii U version also allows players to change how they want to see the graphics. They can do a pixel-perfect version or a fill the screen option, and they can also enable smoothing which removes some of the pixelated look. I found the best option was the pixel-perfect version with smoothing turned off. The smoothing augmented the graphics too much in my opinion. 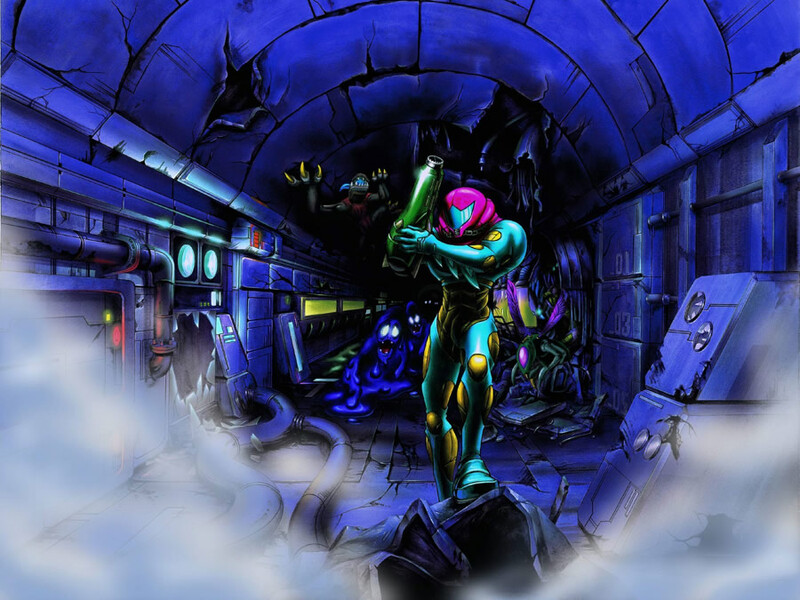 Overall, if you enjoy any Metroid (or Castlevania) game, you’ll love Metroid Fusion. The plot is great and the fusion gameplay mechanic is a fun derivative on the classic Metroid formula.